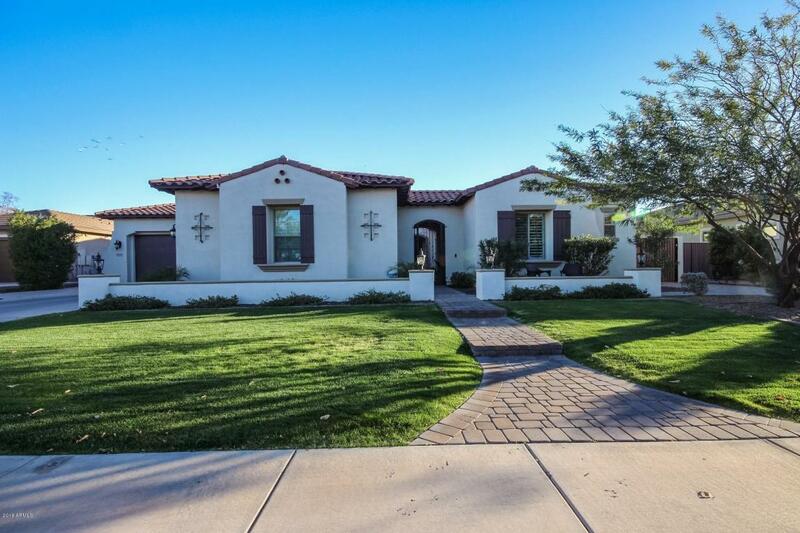 Stunning custom home in highly sought after community of The Village at Litchfield Park. 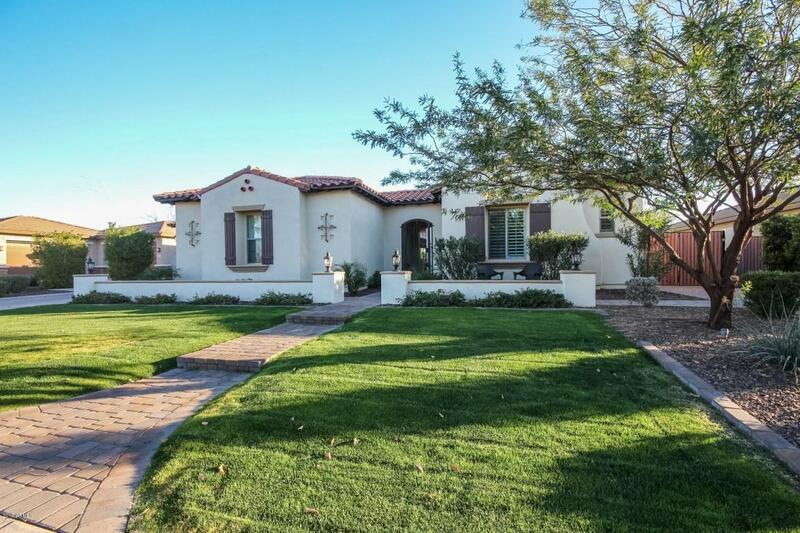 Amazing curb appeal starting with the green grass, lush landscaping, a pony wall with lights, paver steps leading to the wrought iron gate at the private courtyard filled with greenery, pavers and covered patio. 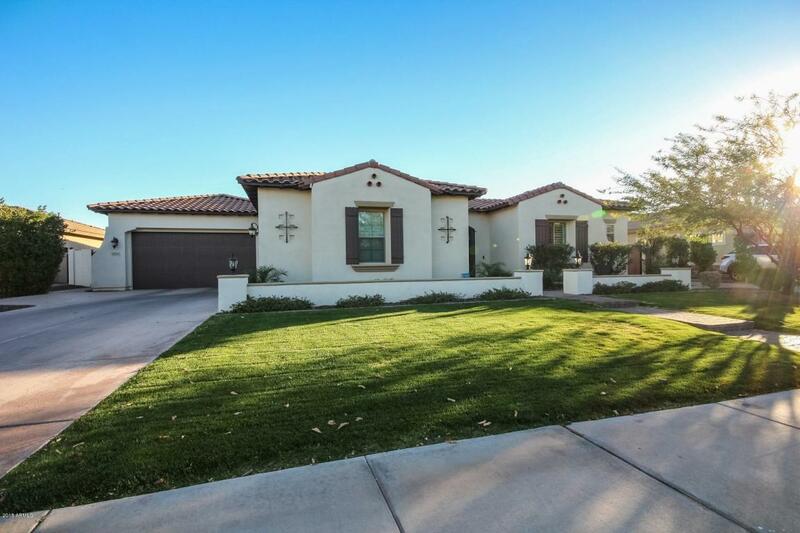 The home has 10' flat ceilings, 2,500sf of porcelain tile, 8 flush mounted surround sound speakers, custom light fixtures and plantation shutters throughout. The kitchen features 42'' staggered maple Kona cabinets, quartz countertops, 36'' gas cooktop, stainless steel hood, double wall ovens, built-in microwave and finished with marble and full glass backsplash. The guest bedrooms on the west side of the home each have full private bathrooms and walk-in closets.The master suite was (cont)thoughtfully designed with wood flooring, two walk-in closets, double vanities with granite countertops, glass and tile backsplash, walk-in shower is finished with tile and insets and the master tub has gorgeous tile and glass surrounds. 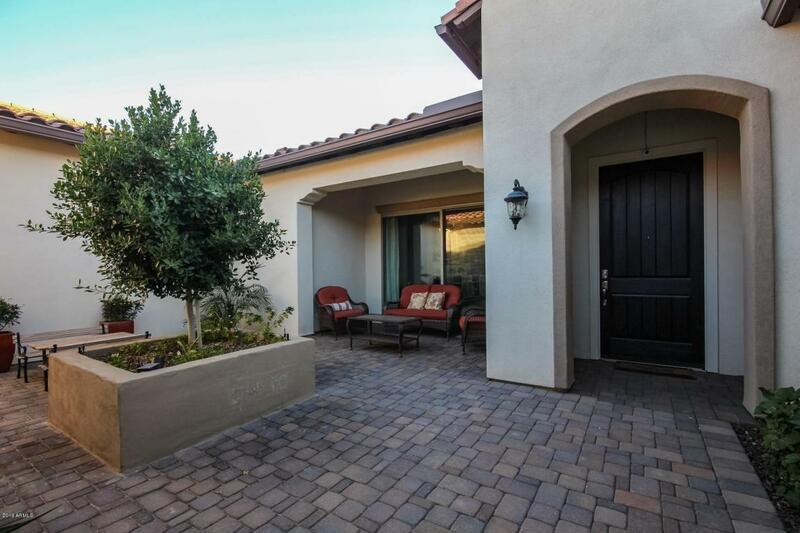 RV gate with paver driveway, floor to ceiling garage cabinets, pre-plumbed for soft water. 4 exterior cameras and Ring doorbell convey. Backyard has an orange, lime, lemon, peach and apple tree. The following upgrades were added after the original closing: over $92,000 in exterior upgrades including pool, spa, water feature, travertine deck, pavers, pergola, custom BBQ island, outdoor appliances, electrical, natural gas, outdoor lighting, iron gate at courtyard, paver driveway to RV gate. Interior upgrades after original closing includes $38,000 for plantation shutters, silk taffeta curtains in living room, custom backsplash at kitchen, 2,500sf porcelain tile, floating cabinets and shelves at living room. Energy upgrades include R60 attic insulation, 3 Nest thermostats, LED recessed lighting throughout, electric bill is $300/month on APS equalizer program.